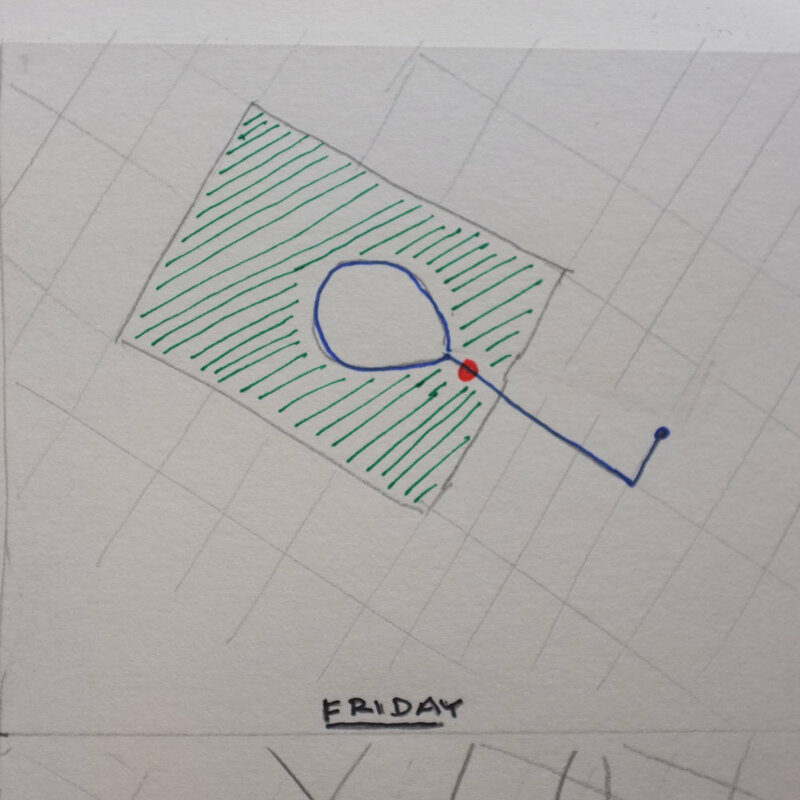 This week I embarked on a daily cognitive mapping exercise. I walked, biked, and ran, making recordings of interesting sonic moments on those adventures that changed the way I felt, made me pause and observe, or altered the space or my behavior in some way. 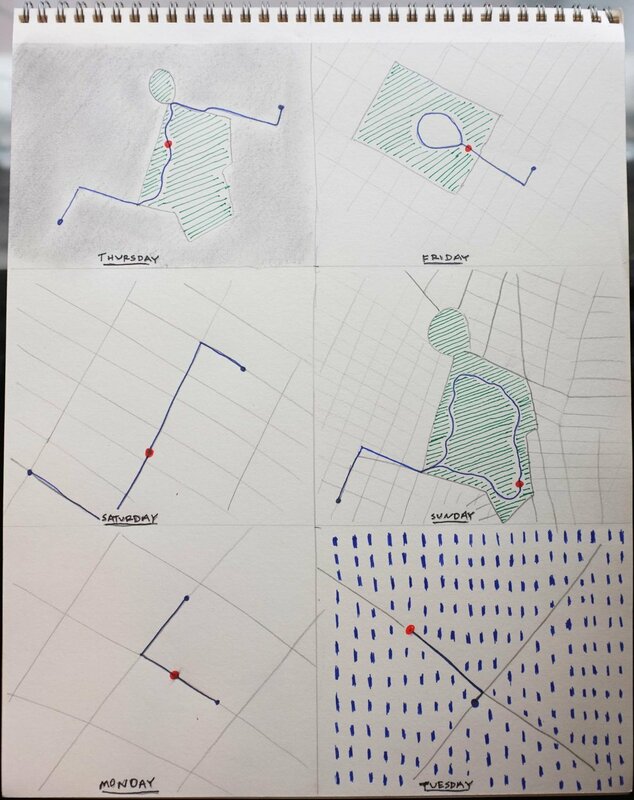 This was an exercise in observing the way the city and I affect each other through sound and listening. Thursday night, 11 pm. Biking home through Prospect Park from Jacob's house. The counter rhythms of my wheel spokes against the crickets that beckon fall. I pass virtually no one on the path. Does my brain try to make musical sense of these polyrhythms the way Seth Horowitz believes? I have no memory of that. I’m trying to bike and record at the same time. Friday 3 pm, Washington Square Park. I take a break from ITP and walk to the park, around the fountain, and back to school at 721 Broadway. In the east corridor of the park I pass a saxophonist riffing by himself. The lunch rush in the park is over, the sounds of the sax drift aimlessly. Maybe he was playing with a trio earlier. Poetic lingering. Saturday 11 AM, my walk to the 25th street R stop from my house on 19th street in South Slope, Brooklyn. I enter a Bodega on 5th ave. Spanish from the TV and the other customer's conversation with the proprietor remind me that I am a visitor here. I pay for the drink and chips and the counter and temporarily the space changes to my presence as it/he switches to English. As I leave it I assume it switches back. 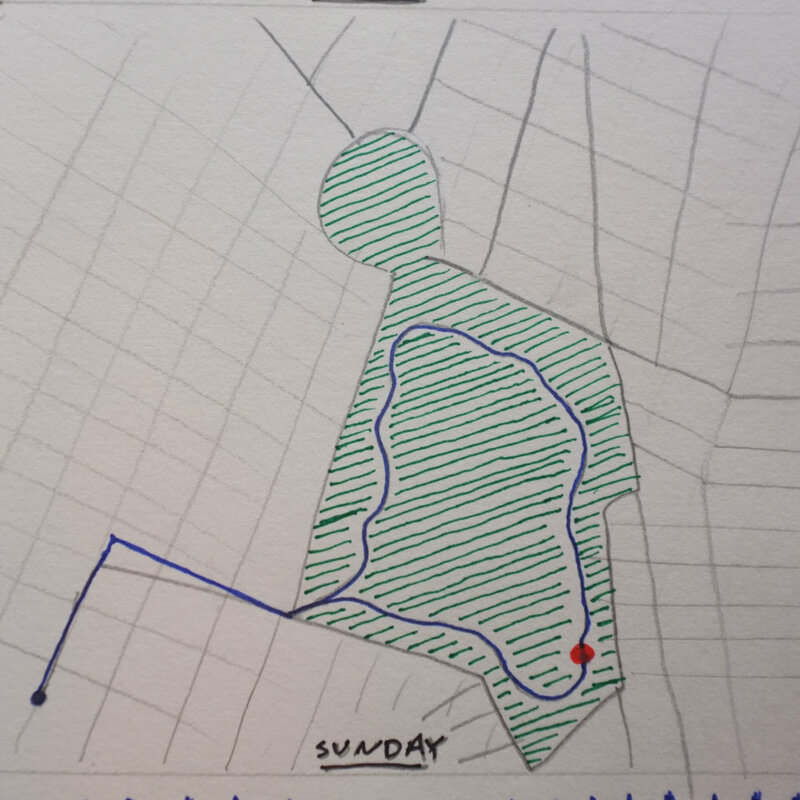 Sunday 4 PM run through Prospect Park. I leave my house and do my usual jog. I stop and stretch at the Drummer's Grove drum circle in the southeast corner of the park. Happy people, incense and bbq smells mix. I have no effect whatsoever on the space. I walk away feeling energized and being to jog again. Monday 8AM, walk to Roots Cafe for coffee from my apt on 19th Street. Before I get to the corner of 5th ave I pass the construction crew digging through the asphalt on my block to lay a new pipe underground. One of the crew notices my field recorder but doesn't seem interested in it or my presence. I think to myself this is the worst sound you could hear before you've had coffee on a Monday morning. I think about the ambient anxiety that sounds like this add to our urban qualities of life. Tuesday 12 PM, pouring rain. I run out my apt to the corner of 6th ave to Southside Coffee for a rainy day americano. I run back. I record the rain underneath my front door awning. I remember life in Seattle. I love this feeling. No one can do much in weather like this. We stay inside and drink coffee. We submit to the conditions of the world in these moments. Luke Dubois, professor. Chatting on Monday about the project. Jean-Luc Cohen, my music tech professor of Sound Synthesis. 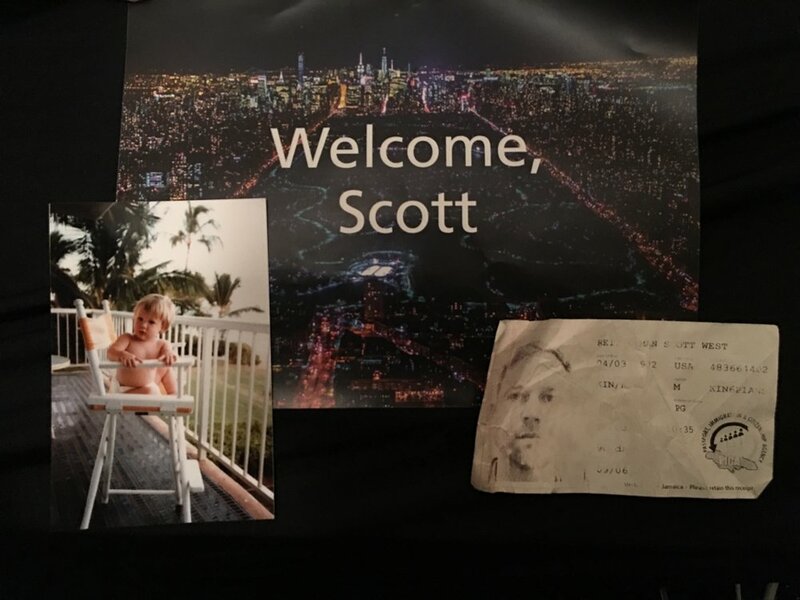 I'm going to speak with him at more length next week regarding generational musical algorithms that could receive my field recordings as an input and then output or overlay the source material with a bit of musical Csound code. The way Eno has worked in the past, creating a palette that gets generated differently but within the same set of rules each time it runs. He recommended I look into R Murray Schafer The Tuning of The World (purchased) as well as the Csound Book's chapters on generative musical algorithms. The “natural” frequencies that heal humans of various spiritual, emotional and physical ailments. 532 and 438hz are common for meditation, focus, wellbeing. the idea that western music is Abstract Music and that a Spectralist approach to tonal distinctions within an octave - 43 instead of 12 notes - is more corporeal is fascinating. A la the Fluid Piano. Defined in technical language, spectral music is an acoustic musical practice where compositional decisions are often informed by sonographic representations and mathematical analysis of sound spectra, or by mathematically generated spectra. The spectral approach focuses on manipulating the spectral features, interconnecting them, and transforming them. In this formulation, computer-based sound analysis and representations of audio signals are treated as being analogous to a timbralrepresentation of sound. The (acoustic-composition) spectral approach originated in France in the early 1970s, and techniques were developed, and later refined, primarily at IRCAM, Paris, with the Ensemble l'Itinéraire, by composers such as Gérard Grisey and Tristan Murail. Murail has described spectral music as an aesthetic rather than a style, not so much a set of techniques as an attitude; as Joshua Fineberg puts it, a recognition that "music is ultimately sound evolving in time".Julian Anderson indicates that a number of major composers associated with spectralism consider the term inappropriate, misleading, and reductive. The Istanbul Spectral Music Conference of 2003 suggested a redefinition of the term "spectral music" to encompass any music that foregrounds timbre as an important element of structure or language. At its simplest, Mythogeography is a way of walking, thinking and visiting a place on many levels at the same time. Anyone can do it. You can do it. Walking becomes a performance, walkers become performers and the route becomes their co-star. The levels of the city are reflected back in the many levels of the walker - the public and the private, fact and dream, admissible and inadmissible, forgotten and remembered, past and future. 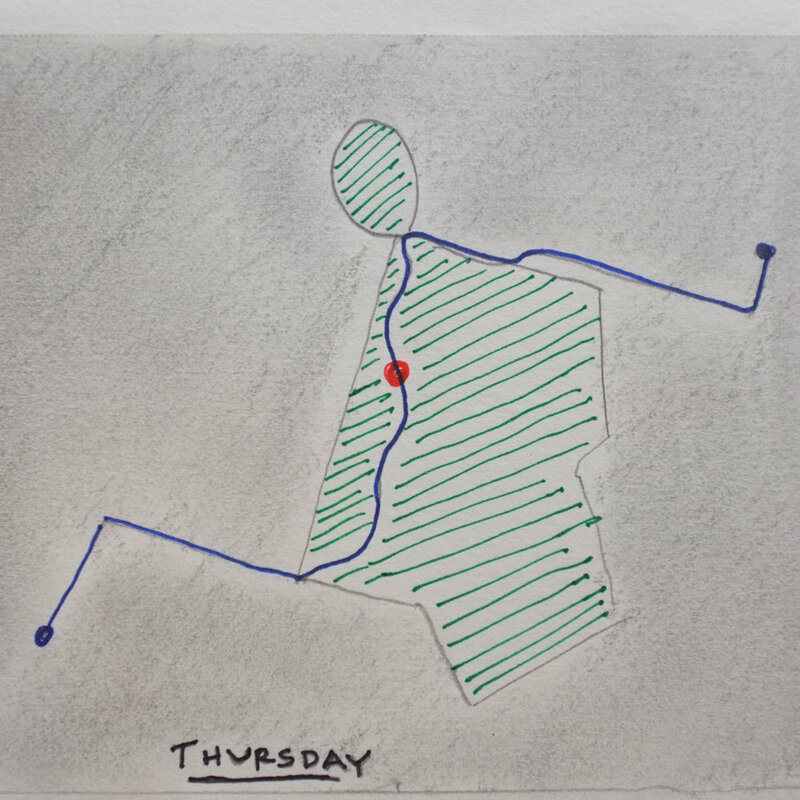 Psychogeography- how can a playful exploration of the way that physical spaces affect our emotions and behaviors inform environmentally informed projects regarding the use of spatial sound and augmented reality. Meant for 6 channel audio installation. This is a stereo version of the piece. The sound researcher and composer R. Murray Schaefer, in The Tuning of the World - 1977 , coins the terms soundscape and acoustic ecology. acoustic ecology: explores environment as a conceptual approach or mindset, allowing sound to be deeply considered. reveals the sonic interdependencies between living things and their environments. Schaefer argues that urban noise pollution is a harmful waste product, in particular is characterized by the values of industrial life and technology - air conditioner hums + construction + non-stop motors = efficiency, mobility and consumption. thus acoustic ecology becomes a political consideration. opponents of Schaefer’s attitudes on urban noise counter that his ideas are overly romantic, technophobic and aesthetically normative. soundscape is a plurality. a conversation. its diverse elements exert influence on each other. acoustic ecology draws listener, sound, and environment together. The medium is the message, and is a field. The field’s elements effect each other, and so it is an open system that transforms and adapts and incorporates everything. mosaic approach is prerequisite for enabling an ear-centered approach to perception. gestalt - an organized whole that is perceived as more than the sum of its parts. 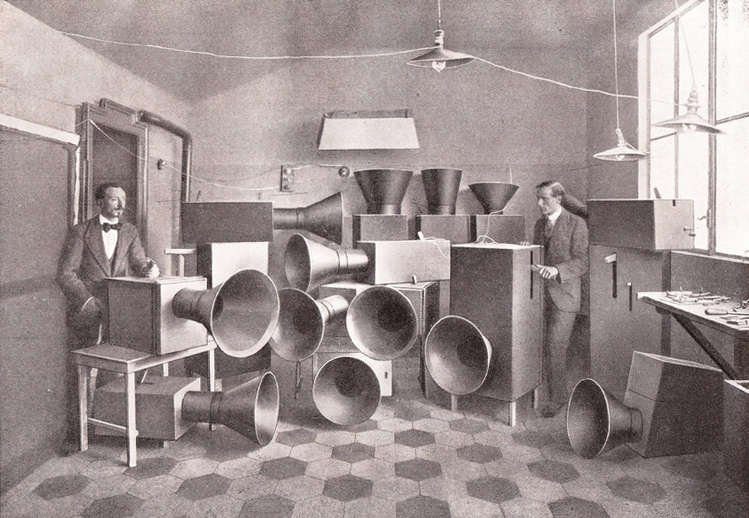 before the term soundscape was popularized..
--> !!! "The ear world is a world of simultaneous relationships.” -McLuhan !!! -thus listening becomes a formative activity, requiring the listener to endeavor to alternate between methodologies - analytic and selective, synthesizing and integral. similar to the approach you take when listening to polyphonic music too. one of McLuhan’s big idea was we need to understand media as an environment. and a specific idea of his from Narcrissus Narcosis - denial of the audile tactile by a society that has become addicted to images and despises that which is audible. we’re nullifying, dumbing, blunting, our ability to hear. very well written and considered, and gives a very strong example of how systems have inherent bias by looking at 8 different systems thinking perspectives view the debate around GMO wheat and the research trials at Rothamsted. Contain - flora, fauna, agriculture, GMO research, weather. Overlapping - Food distribution and production, education, waste management. Symphony of the Soil documentary - Sooo good. Totally cracked open the way that I understand the ground and disregard it's complexity and age. The scenes in Hawaii were particularly fascinating - looking at how soil of different ages on top of old lava flow. Very happy to have seen this - again thanks Marina! Starting from a place of self-interest seems appropriate. Since I garden in my backyard here in Brooklyn, I often overlook the potential soil contaminants and lack of healthy biology in the soil that grows my veggies. One of the big issues that the amazing documentary - thanks Marina! - brought to light was the history of over-tilling and over-fertilizing land used for agriculture. The film states that 1/3 of the world's arable land has been destroyed over human history due to this erosion and poisoning. Ecosystem services of the soil food web after long-term application of agricultural management practices. by Xiaoke Zhang, Howard Ferris, Jeffrey Mitchell, and Wenju Liang. 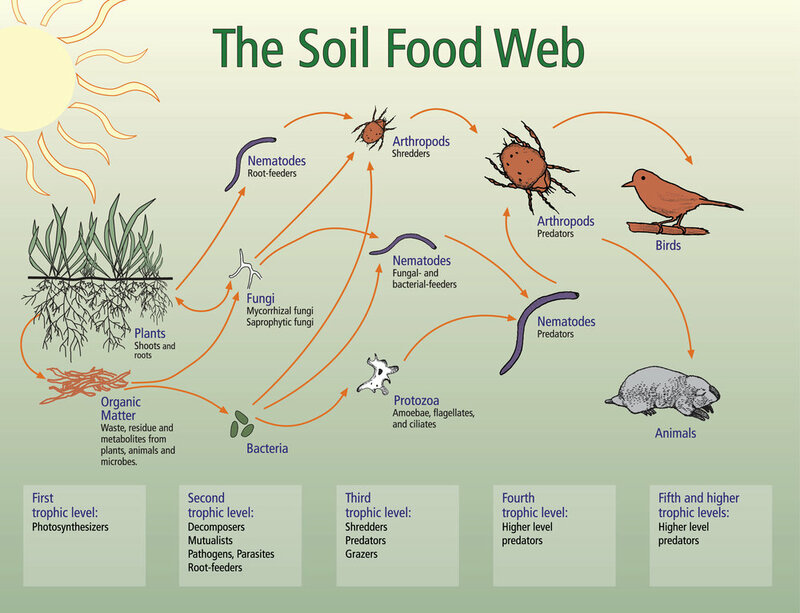 How much does multi-channel feeding and increased biodiversity have to do with the health of a soil food web. Reticulated channels in soil food webs. by E.M. Wolkovich. David Dunn - interesting research into the sounds of natural phenomena like light, and how our brains interpret it. So wonderful too that all of the experts so far in this line of research have revealed on video to be such lovely humans. This guy included. In the first week of research into the Soil Food Web, I wanted to respond in a way that was impulsive and which transposed the scientific knowledge into a introduction in a new medium. I wanted to ask some creative questions about life underground, see how they felt written out, spoken, sound designed. What does underground sound like? I found a BBC recording of an earthworm, centipede, and snail being recorded inside an anechoic chamber. Some other recordings of earthworms making soil helped to give a sense of what the process of making earth sounds like. I also wanted to respond to the readings, which featured ideas about the nature of critical design as a way to ask new questions, and understanding the idea of audience. It seemed to tie in nicely with my topic of research, that processes (e.g. photosynthesis) and a variety of organisms, bacteria and creatures that make up the foundations of natural life are witness to humans much more so than the other way around. We walk on top of and within these elements without awareness. Interesting to consider the speculative work of these designers in the context of beginning to research a topic that I've never previously considered - the Soil Food Web. The strangeness of their moving landscape in which travelers would live out their entire lives is almost as strange an idea as the reality that an animal kingdom of tiny creatures plays out the theater of an underground ecosystem. Wild ideas spark imagination. Research in art takes on the same fundamental goal as in any other discipline..."research results in new knowledge and the final test of new knowledge is what it contributes to the human condition. 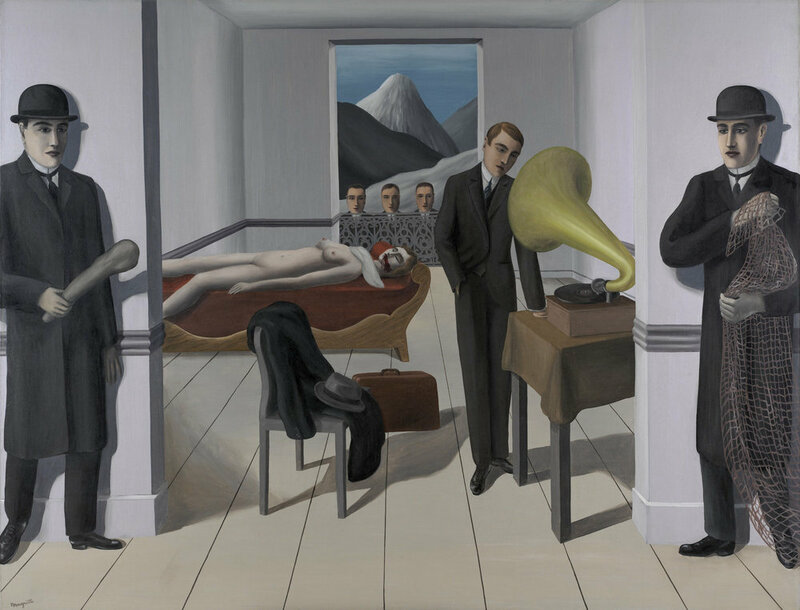 Comparing the advancements in medicine, science and technology to the cultural benefits that new art (as a result of art research) does seem related but not analogous. The latter rests on much more subjectivity. Also I must include this opinion piece from this weekend's NYTimes alongside his example of the implied purity and objective net benefit of the formation of Yosemite Natl Park. "..the challenge becomes to establish the academic infrastructure and a research methodology through which art can be undertaken as research in university degrees; to allow practice based research the same recognition and status accorded other research." - What we're moving towards in this class. Autotelic - (of an activity or a creative work) having an end or purpose in itself. A public is a conversation, and forms solely because people want to take part in that conversation. Publics can of course be partial in their fraction of a total population. Efficacious - (typically of something inanimate or abstract) successful in producing a desired or intended result; effective. This must be why in modern societies where the lack of a freedom to assemble must be one of the most spirit crushing conditions of all. Voting is external framework imposed on a public, and a poor substitute for notions of free will. A la Clay, voting individualizes the illusion of power, and for many their votes are meaningfully irrelevant as they are residents but not members of a selectorate. Merely paying attention to a discourse equals membership in a public, and we can be members of many different publics, thus it is very hard for social scientitsts and pollsters to sutudy these groups. How do we quantify a public? Polling - most powerful example of escaping the circularity of publics, and extricating data from a public. A public is made up of strangers, but strangers in a within a public have commonality of origin, belief, etc. These form the basis of tribalism, one of our most innate and treasured characteristics. Gesellschaft - social relations based on impersonal ties, as duty to a society or organization. Louis Althusser’s notion of interpellation - communist philosopher whose theory that states are made up of Ideological State Apparatuses (ISAs, e.g. private institutions like church, family) and Repressive State Apparatuses (RSAs, e.g. public institutions like military, police). The two are fundamental to continually reproduce the dominant ideology in a society. Interpellation is when ideology, embodied in major social and political institutions (ISAs and RSAs), constitutes the very nature of individual subjects' identities through the process of "hailing" them in social interactions. As in the example of the cop that yells ‘hey you!’ at you , and when you turn around to acknowledge the hail you have turned yourself into a subject. The only condition of entry into a public is to pay attention, in whatever amount. Even if you went to a performance and slept through the entire thing you’d still be a part fo that public, because you elected to be there and not somewhere else. Thus the existence of a public is contingent on the activity of the public’s members. Like a church is dependent on the active uptake of it’s message through upkeep and strengthening of faith and of conversion fo new members. Appellation - a name or title. Or, the action of giving a name to a person or thing. Concatenate - link (things) together in a chain or series. Dialogic - relating to or in the form of dialogue. Polemic - a strong verbal or written attack on someone or something. Thus, texts that have publics are inherently intertextual and intergeneric, because they must continue to receive attention and circulate through time. There must be some significant measurement of an idea or document’s temporality. This is why webpages may fundamentally disrupt publics, because it is difficult to time stamp their creation. Unlike books or journals or newspapers, the internet exists in a vague and sprawling temporality. “If the change of infrastructure continues at this pace, and if modes of apprehension change accordingly, the absence of punctual rhythms may make it very difficult to connect localized acts of reading to the mosdes of agency in the social imaginary of modernity. At some point, Warner argues, we may have to lose the notion of ‘circulation’ entirely if media becomes so overwhelmingly consumed via the rhythmless web. But in this way is becomes the engine for recharacterizations of ideas and social mutation. Mise en scene - the arrangement of scenery and stage properties in a play. Or, the setting or surroundings of an event or action. Interlocution - the interchange of speech. An interruptive utterance. Lexicon - the vocabulary of a person, language, or branch of knowledge. Idiom - a group of words established by usage as having a meaning not deducible from those of the individual words (e.g., rain cats and dogs, see the light ). Or, a characteristic mode of expression in music or art. "they were both working in a neo-impressionist idiom"
In this world making poetic way, a public is in search of itself. A text is inherently saying ‘let’s have a public that responds and pays attention to this, uses this lexicon, has this character’ and then you run it up and the flagpole and see who salutes. Throw a show, see who comes.